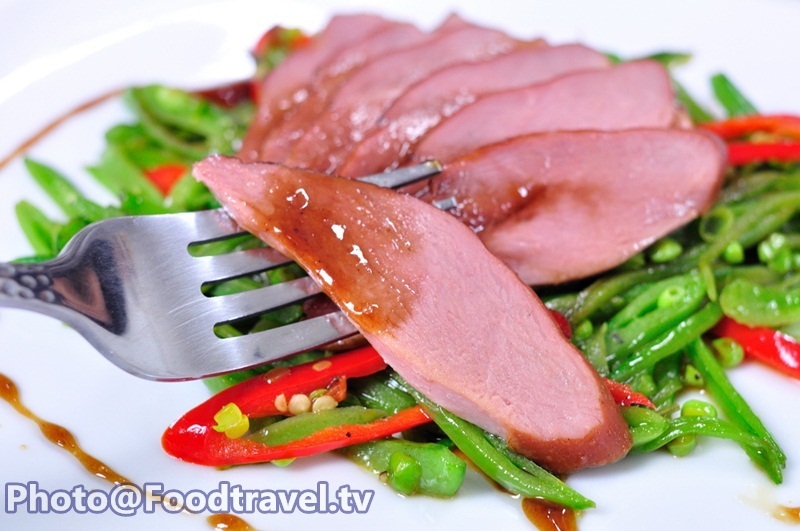 Honey Smoked Duck with Snap Pea - The delicious elegant dish that we recommend you to try at home. 1. 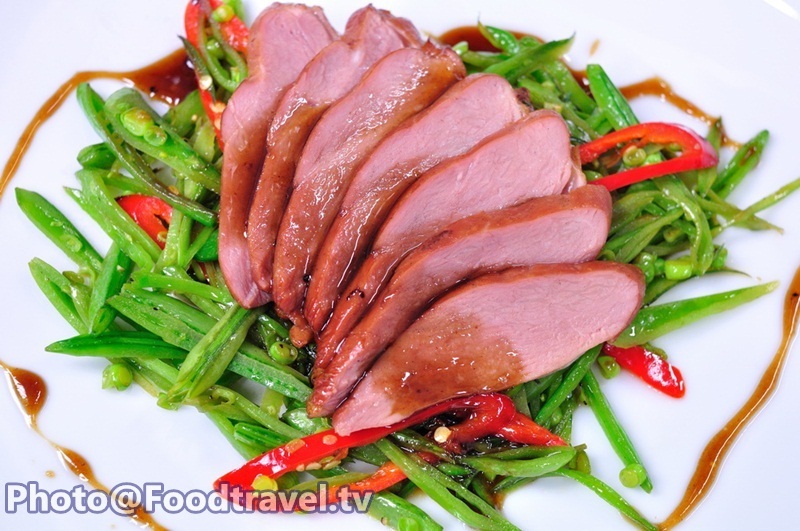 Marinate duck with honey and Balsamic vinegar. Then fry until golden and bring up to set aside. 2. Fry beans with olive oil and use high heat. Season with salt, pepper and thyme. 3. 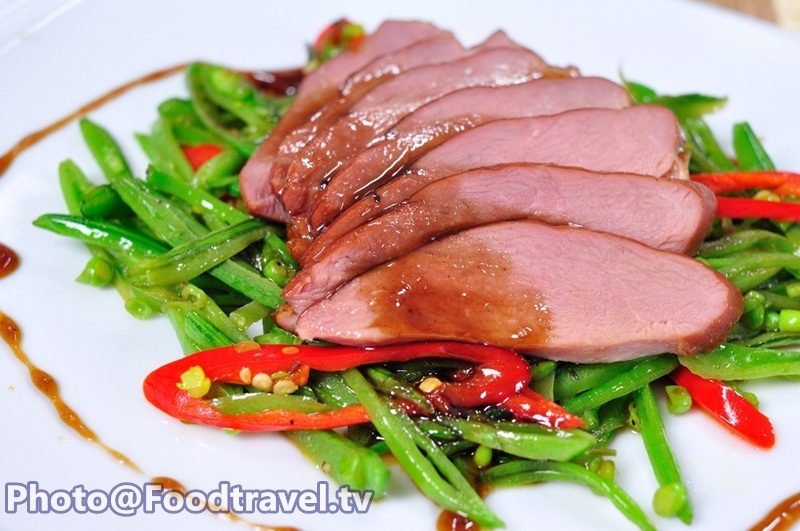 Serve sliced duck on the dish. Add beans and garnish the plate. Sprinkle with red goat pepper. Ready to eat. Don't fry the duck too long because it already cooked, unless the duck will stiff. Dont fry the duck too long because it already cooked, unless the duck will stiff.